A homeowners association, also known as a Common Interest Development (CID), is the non-profit entity under which community governance structure is established and operated. Associations are established with the intent of protecting the community assets instituting prudent physical and financial maintenance practices. 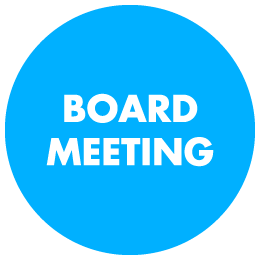 Decisions concerning association operations are made by a volunteer Board of Directors elected by the community residents during the annual membership meeting. What is the role of the managing agent? As the Board of Directors is comprised of volunteers, it is generally a good idea as fiduciary for an entire group of homeowners to hire a managing agent specializing in homeowners association operations. Professional management firms possess knowledge of changing legislation affecting non-profit corporations and understand fiscal as well as physical management requirements of these entities. The scope of services provided by a managing agent will vary based on the needs of each homeowner association. Contractual management duties may include preparation of financial statements, collection of dues, coordination with maintenance vendors, bid and proposal acquisition. Do I have to belong to the Butterfield Estates Homeowners Association and pay the monthly assessment? All persons owning a unit or lot within the Butterfield Estates community automatically become a member of the Butterfield Estates Homeowners Association and are required to pay the monthly assessment. Non-payment could result in a lien against the home. What does the monthly assessment pay for? The monthly dues assessment covers the operation, maintenance and repairs for which the Association is obligated, per the Covenants, Conditions and Restrictions(CC&R’s). Items such as insurance, taxes, water, electricity, landscaping services, street sweeping, janitorial and even pest control are just a few of the items covered by dues. Dues also cover the funding of reserves which are applied to future repair or replacement of major components for which the Association is responsible, such as roofing, painting, and street repair in a condominium development. A budget summary is mailed to each homeowner on an annual basis outlining where dues are spent. Where do I send my dues check? Can I pay my Association dues electronically? Yes! Keystone Pacific Property Management has an ACH program where we debit your checking or savings account the second business day of each month. If you’re interested, please fill out the Automated Payment Form today and then submit the form to management. Save money and time! How can I report a non-compliance or violation? Report a violation by completing the Non-Compliance/Violation Form and then submit the report to management. Please be sure to list in detailed: the Association name, nature of the non-compliance, dates and time (if applicable), property area in non-compliance, and the best method to contact you. I’m not able to log onto this website. What do I need to do ?